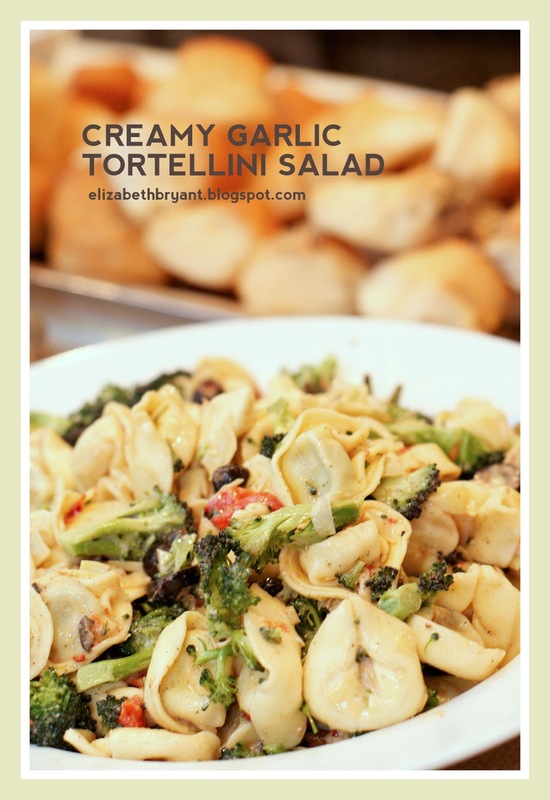 Have you tried my creamy garlic tortellini salad yet? It's really delicious so if you haven't, you're missing out. My friend, Meg, took this (much better) photo of the salad when I made it for a baby shower a couple of weeks ago and she nicely let me use it to update my post from the old, crummy photo I took. Thanks Meg! The dressing for this is awesome for a Greek salad or just a regular ol' green salad with tomatoes, cucumbers and whatever else you like.